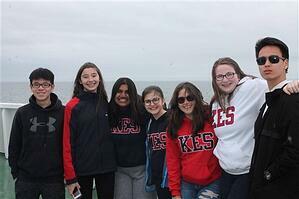 The Grade 9 students and chaperones once again ventured to Prince Edward Island for our annual class trip. This journey is a staple of the Junior School and this year was once again a great success. The group visited the Museum of Industry in New Glasgow before boarding the ferry to “the Island”. The annual Lobster Dinner was enjoyed in Montague, followed by a trip to Cavendish Beach where some students went for a chilly swim as Mr. LePoidevin played the pipes. The next day the group visited Confederation sites, swam at UPEI and zoomed away on Go-Karts before catching a film at the cinema. The trip home was shortened as we stopped for a tour of Mount Allison University along the way, as believe it or not, soon these students will be making post-secondary education decisions. Another fun, safe and edifying trip to the “Garden of the Gulf” was enjoyed by all. It is evident that the Class of 2021 has a great foundation. Indoors, outdoors, close by, far away, from under the sea to on top of a mountain: Travel is a wonderful opportunity to learn, try, strive, help and grow. Find out about the many chances your child will have to travel as a King’s-Edgehill student! 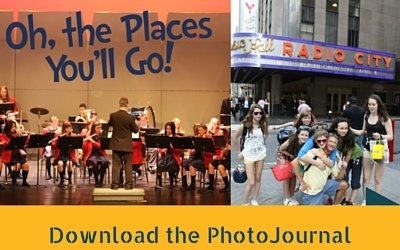 Download Oh The Places You’ll Go!, a PhotoJournal about travel at KES.